Can nails breathe under Shellac or Gelish or OPI Axxium or OPI Gelcolor? Is there a way to keep nails healthy under the polish or gel? Is a break between soak-off or no-chip manicures necessary? Here are the answers to your questions. One of the questions I get most about UV gel manicures such as Shellac, Gelish, OPI GelColor and so on, is about whether the nail can "breathe" under the lacquer. Others include Is there a way to keep the nails healthy? and Is it a good idea to take a break between soak-off manicures? 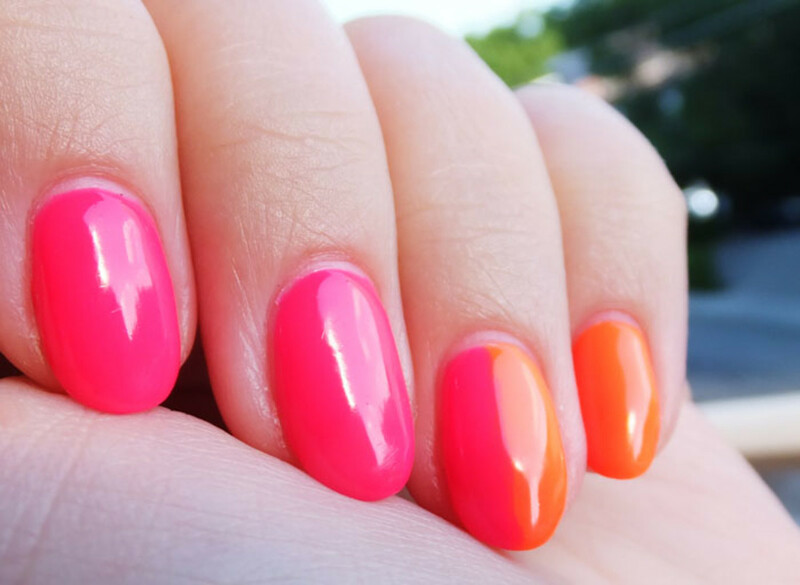 So... here&apos;s how to keep nails healthy under uv gel manicures. Can nails breathe under soak-off manicures? Nails don&apos;t breathe the way skin does. They are a bit porous, however – we&apos;ll come back to that. Remember that nails continue to grow. Within days you&apos;ll see that sliver of bare nail at the base; it&apos;s quite significant after two or three weeks. Is there a way to keep nails healthy under the under the polish? Healthy nails are linked to healthy cuticles. This is where nail porosity comes in. Think of the cuticle as a conditioning drop zone: a drop of oil there benefits more than just the skin around the nail. 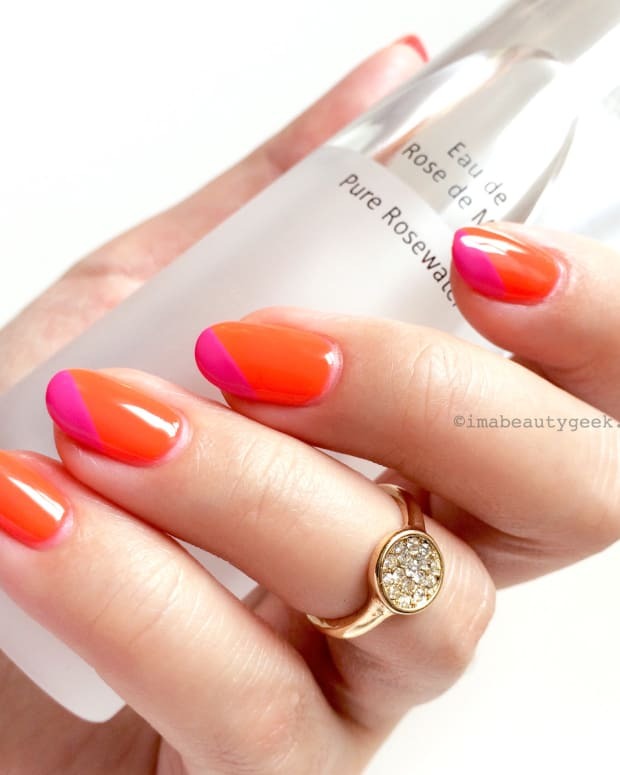 "Use cuticle oil daily -- it penetrates the nail plate. 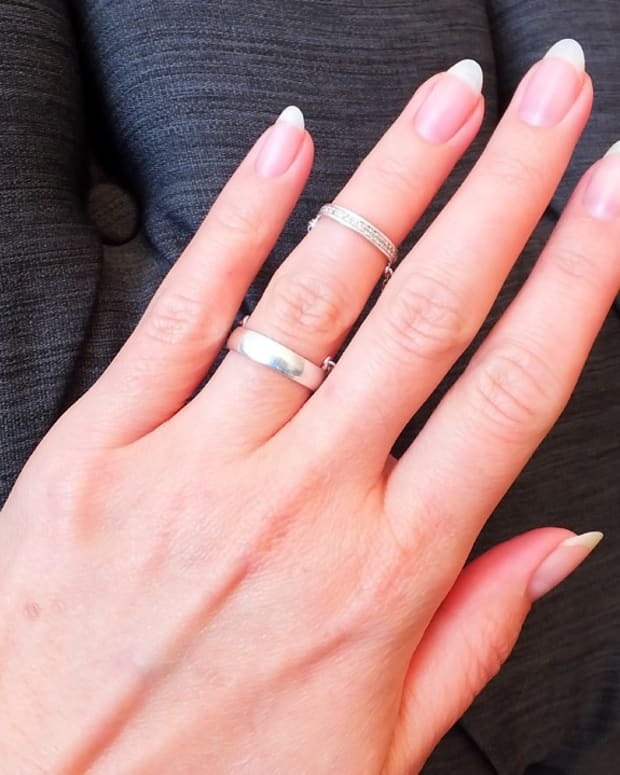 As the nails grow, they become more flexible and resilient," says Leeanne Colley, whose busy Toronto salon, Tips Nail Bar, has a huge number of fiercely loyal soak-off manicure clients. "It helps peely nails, too," she adds. Best to apply cuticle oil immediately after you&apos;ve washed your hands in warm water -- the oil will sink in efficiently and help keep skin hydrated. Do you need a break between soak-off manicures? Not really. If you have naturally strong nails, take a break if you like. But if you&apos;re like me and have soak-off gel manicures to give your naturally weak nails extra strength, taking a break will only leave your bare nails unprotected, once again vulnerable to the easy chipping and breaking that used to drive you nuts. Have you been asking these questions too? Will you try the cuticle-oil trick? Pink + orange ombre manicure by Leeanne Colley at Tips Nail Bar, with Artistic Colour Gloss soak-off gel in Owned and Hype. Photo via Fujifilm Finepix F770EXR.